I can't wait to see the giant redwood trees! 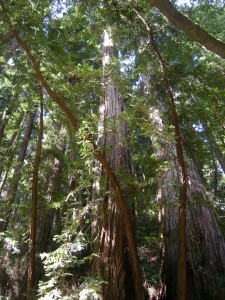 Have you ever heard of Redwood trees? 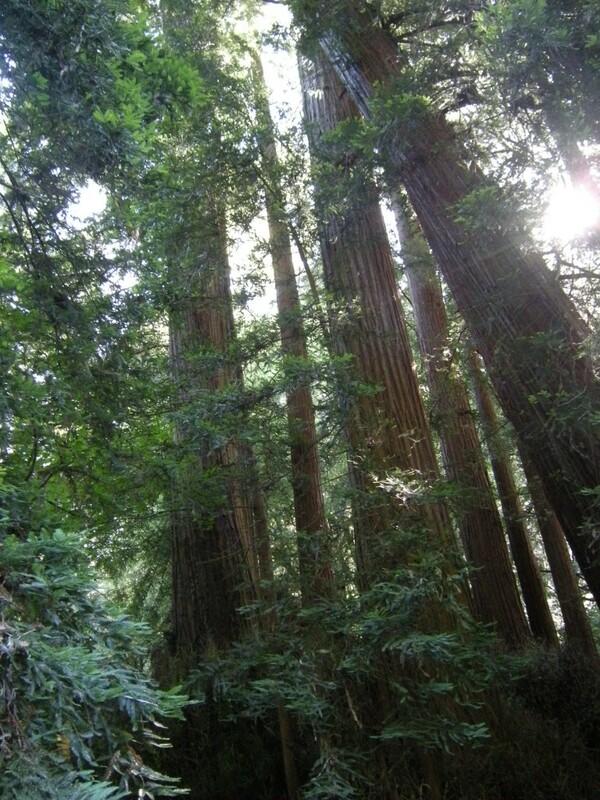 They are not only the tallest living things on earth, reaching as high as 360 feet, but they are also very long living, and can last anywhere from 500 to over 2,000 years. 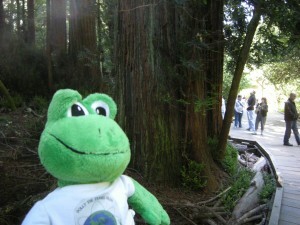 I looks so small beside this big tree! I can barely see the sky! 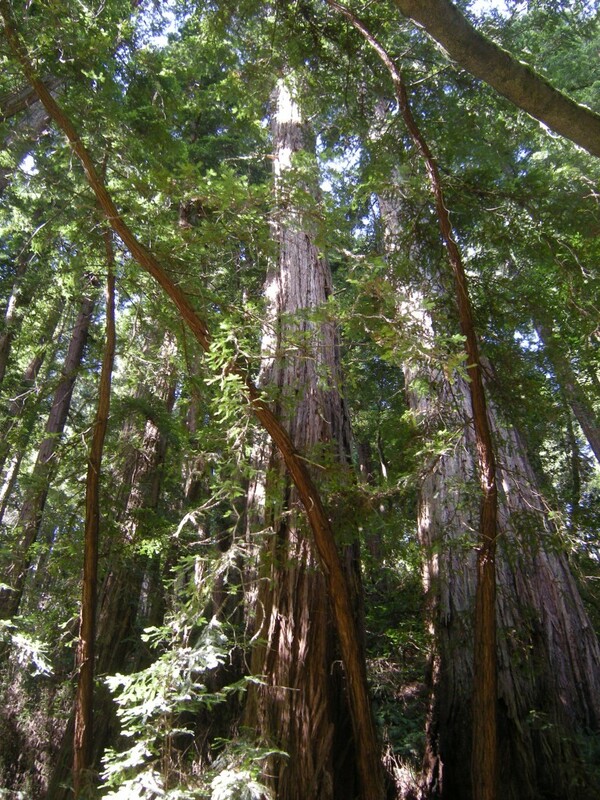 I’ve always wanted to see a redwood tree, and took advantage of the fact that there are some very close to San Francisco. 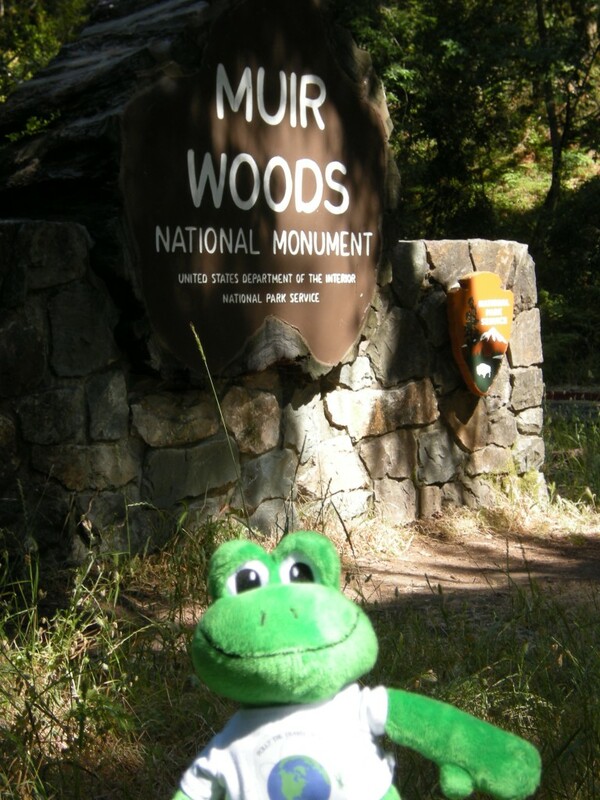 We went on a bus tour that went to the Muir Woods National Monument, and thoroughly enjoyed our visit there. 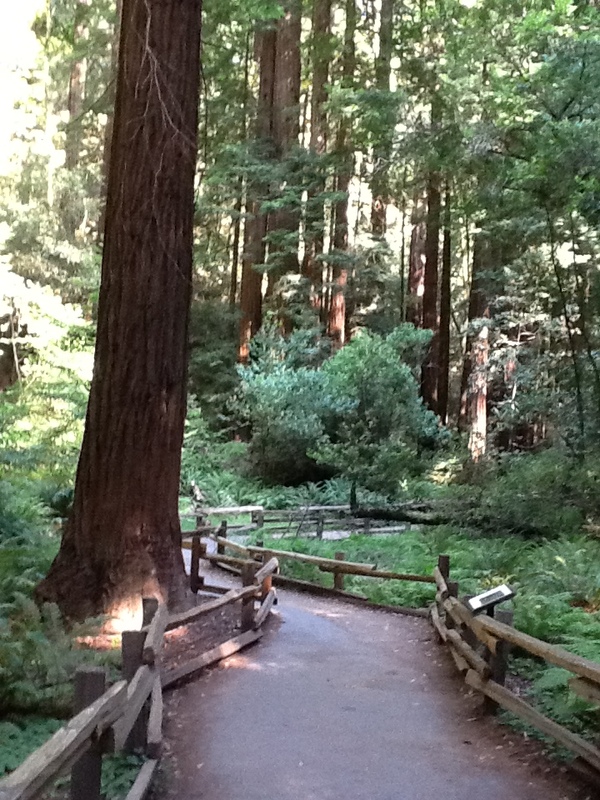 Muir Woods is about 12 miles north of San Francisco, and is part of the Golden Gate National Recreation Area. 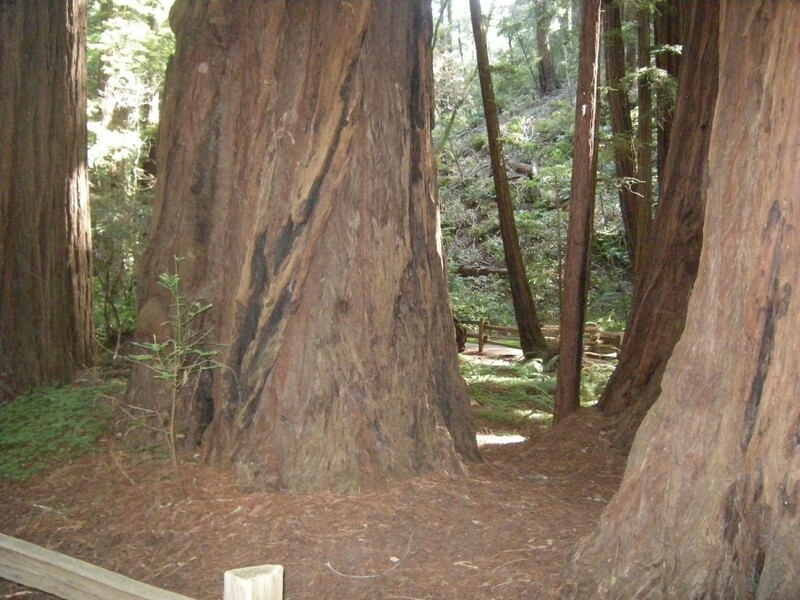 It contains 6 miles of trails, where you can see thousands of old growth coast redwoods. The trails are very easy to follow, and every which way you look, there are huge trees that are truly breathtaking. We tried to take pictures to show their size, but they are just something that you have to see to believe. 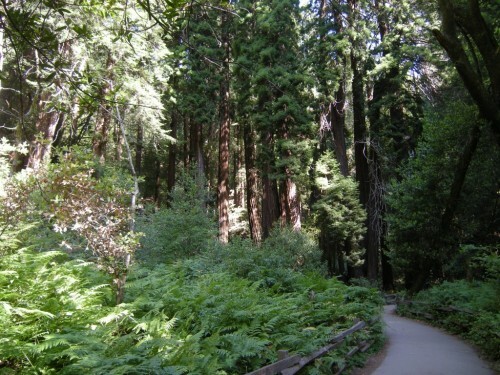 It was very peaceful walking along the trails, with patches of sunshine peaking through the trees every now and then. 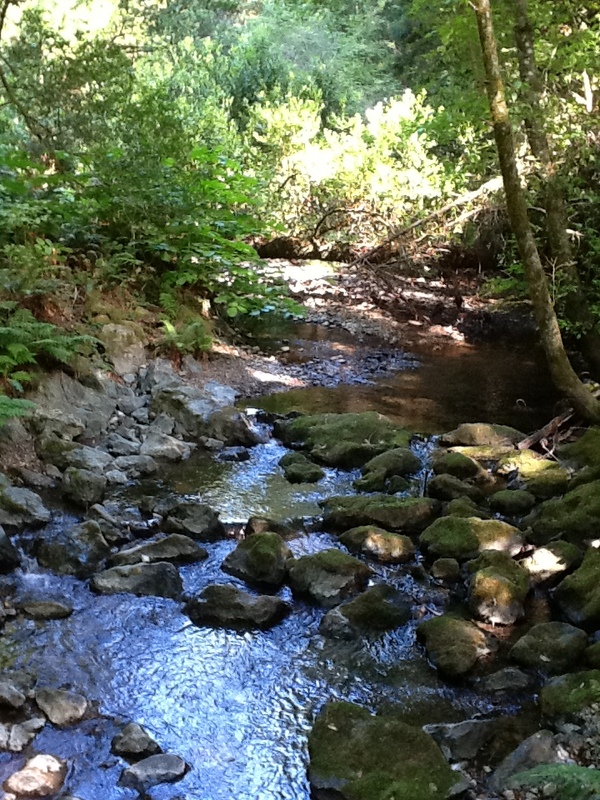 There were also several streams throughout the area that added to the peacefulness and tranquility of the woods. Look how big the trunk of this tree is! Look at me! Look at me! 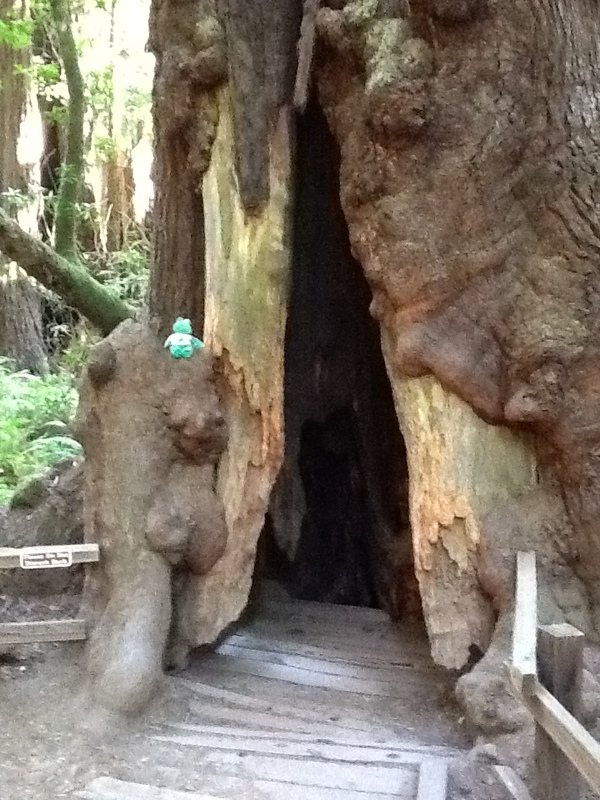 I'm sitting on one of the giant trees! You can’t “saw” them anymore! They’re protected!